The Amazon Basin is the least known and the most complex linguistic region in the world today. It is the home of some 300 languages many of which (often incompletely documented and mostly endangered) show properties that constitute exceptions to received ideas about linguistic universals. This book is the first in English to provide an accessible overview of this rich and exciting linguistic area. 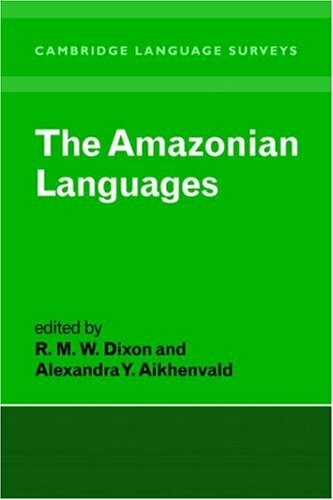 It will provide a basis for further research on Amazonian languages as well as a point of entry to important data for theoretical linguists.